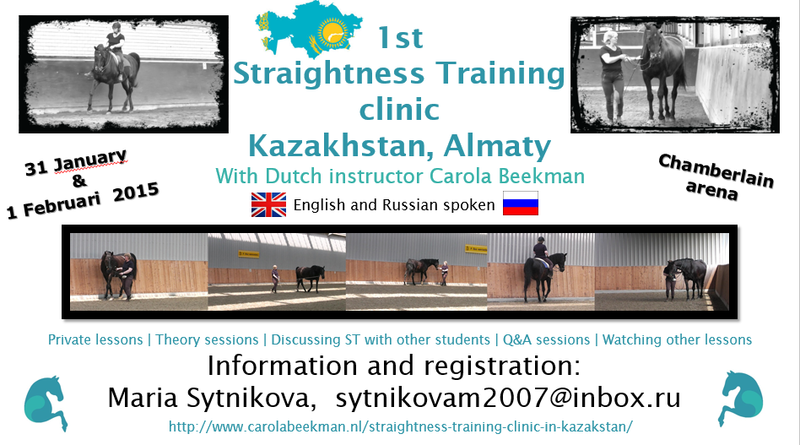 On 31 January and 1 February 2015 I visited Almaty in Kazakhstan to teach Straightness Training. The event was organized by Maria Sytnikova and hosted by Marina Bukanova at her amazing venue Chamberlain. 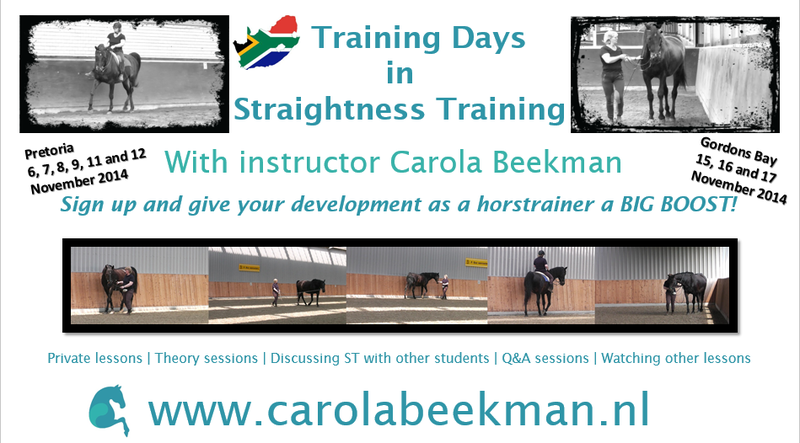 I was accompanied by Straightness Training Trainee Instructor Marina Krasilshchikova as my translator to Russian. 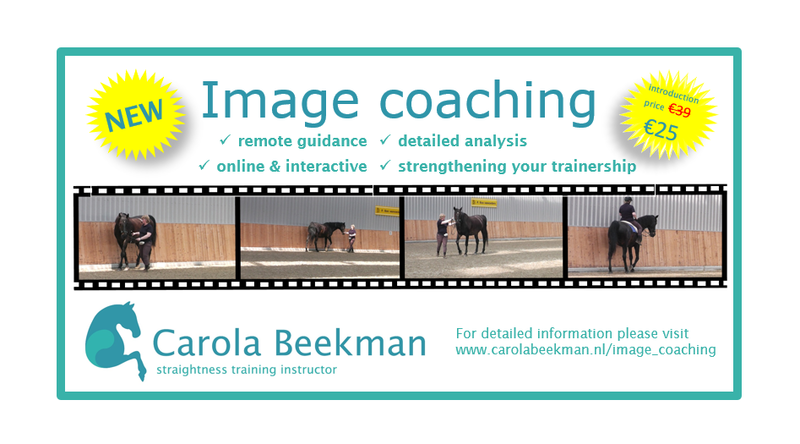 Amongst the participants was a vet, several trainers/ instructors of Chamberlain and one lady flew all the way from Russia to join the clinic!